If you’re shopping around for a new stove, you’ve already noticed all the different styles and features available on today’s models. Before you get into the fine details, you’ll need to decide whether a gas or electric stove is the best option for you. Although both types get the job done, there are differences between the two you should consider before you buy. Since both types come with different considerations, you’ll also need to know the tips and tricks for cooking on each. Electric stoves are often cheaper than gas stoves. The price differences vary by make and model and might be less than $100 or close to $200. While price shouldn’t be a primary concern, as sales and promotions may erase the difference, you may need to consider this factor if your budget and time is limited. Gas stoves require a stove line for installation. If you live in an area where natural gas is a common energy source, your home might already have a line. Since gas leaks pose a safety hazard, the stove must be connected properly. A newer home or home in an area where electric is more commonly used for appliances should have the necessary connections for an electric stove. If you already have an old electric stove, installing a new one usually involves following the original wiring. Gas stoves, for safety reasons, have sealed burners. Since the burners are covered, cleaning is usually easy. If you make a mess, you can simply wipe it off the stove using a cloth and the cleaning chemical the manufacturer recommends for the stove’s materials. With an electric stove, you may have coil burners or a sealed top with radiant heat, which is the more expensive option. Coil burners have drip pans you’ll need to remove to clean. If you don’t keep up on the cleaning, the drip pans may discolor or be difficult to properly clean when you need to. Electric stoves with closed tops are easier to clean and you can use the same method you would for a gas stove. Some people feel a gas stove offers a quicker and more precise cooking experience than an electric stove does. With gas, you can control the cooking temperature by moving the dials or using the buttons on the front. An electric stove isn’t always as precise with temperature as a gas stove. However, if you take note of cooking times for different items when you start using your electric stove, you can gauge the correct cooking times and temperatures to avoid cooking mistakes on future use. Keep a notebook or journal handy, so you can track the ideal heat and cooking times for foods on your electric stove. Once you’ve decided what type of stove you want, compare the features of each. Common features include a timer, clock and alarm combination and pre-set temperature buttons. 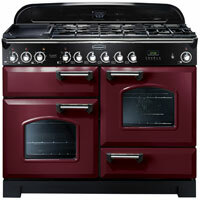 Look at popular models, such as a Rangemaster Classic Deluxe, to create a wish list of features for your new stove. The human body requires about two liters of water each day for optimal health. This amount rises if you live in a hot or dry climate, do any amount of physical activity or have certain health conditions. Just half an hour working in the garden can cause you to need an additional 16 ounces of water. Swapping sugary or caffeine-filled drinks for glasses of water will increase your intake while lowering the amount of calories you consume. If you are having trouble drinking two to three liters of fresh water each day, you may need to try a few tricks to remember. There’s no need to sit and guzzle glasses at the end of the evening if you work new habits into your daily routine. The taste of even the cleanest filtered water can be boring and bland if you are used to sweet sodas and coffee. Start by removing any undesired odors and flavors from your water by filtering it. An inexpensive pitcher can save you hundreds of dollars over bottled water each year and produces less waste. Once your water is clean, add a touch of flavor. A slice of lemon, cucumber or orange will make you excited to sip again. A single herbal tea bag will slowly increase the flavor of a cold glass of water. You don’t have to heat up the water. If you can enjoy the taste of peppermint or chamomile tea without added sugar, you will still enjoy all the benefits of drinking more fluids without the added calories. You can’t remember to drink at least six ounces of water every waking hour if you have to leave something engaging just to get a fresh glass. Invest in a water bottle that holds at least half a liter and keep it within your reach at all times. 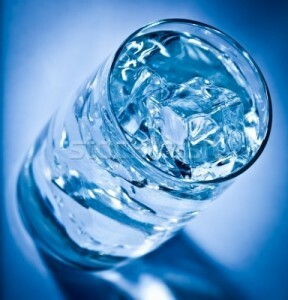 You can take a sip every few minutes, keeping you evenly hydrated. Trying to drink two liters all at once at the end of the day can cause serious electrolyte imbalances. You can make marks on the water bottle to track your intake throughout the day with a washable marker. Drinking a full eight-ounce glass of water before each meal will help with digestion. It will also ensure that you reach your water intake goals without a lot of extra effort. Many people confuse the feelings of thirst for hunger. This leads to overeating and dehydration. Insufficient hydration makes it even harder to digest your food properly. Finish a glass of water and wait 10 minutes before picking up your fork. You will likely eat less and experience less ingestion. Investing a dollar or two in a fun straw can give you a surprising boost in your water intake. Research has shown that people tend to drink more total fluid when sipping through a straw. Get a reusable straw and a small bottle brush for cleaning it. Many water bottles also feature snap-on straws that slip into the lid for easy storage. Don’t overlook the amount of water found in a salad or a snack. Adding more fresh fruits and vegetables to your diet will provide a boost of fiber, vitamins and water. Some of the best foods for increasing water consumption include apples, grapes, romaine or green leaf lettuce, tomatoes, cucumbers and squash. Pair a better diet with plenty of fresh water from a source like angelsprings.com and start enjoying better health.